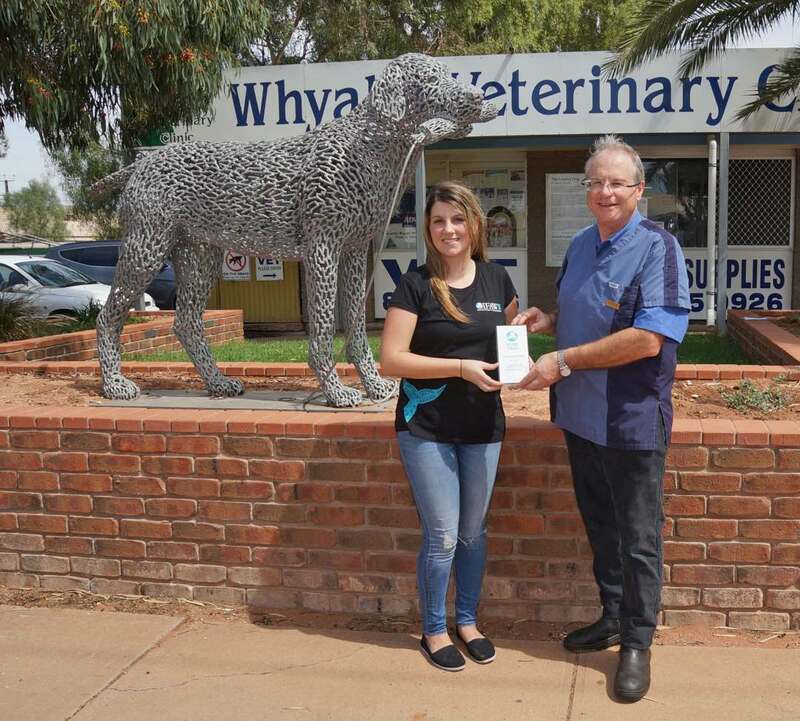 (6 March 2016) Whyalla resident, Dr Andrew Melville-Smith, has been recognised for his outstanding contribution to animal welfare by highlighting and raising awareness on how animals and humans can work in partnership. Dr Melville-Smith’s nomination is a thank you from IFAW and its supporters, for his tireless work helping to support the Lions Hearing Dogs inc., an Australia wide Lions Club programme that rescues dogs from pounds and then trains them to help the deaf community with everyday barriers. It’s a win – win for these dogs,as they are saved from an uncertain future;after some intensive training they are assigned a forever home; the dogs go on to offer safety, security and independence for the hearing impaired at home, giving their human the confidence to participate more fully in their community.The Lions Hearing Dogs Inc. programme is reliant on vets like Dr Andrew Melville-Smith to help find and identify suitable dog candidates. 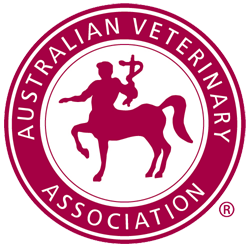 “It is a privilege to present this award to Dr Andrew Melville-Smith, highlighting his selfless dedication to the treatment and care of animals. 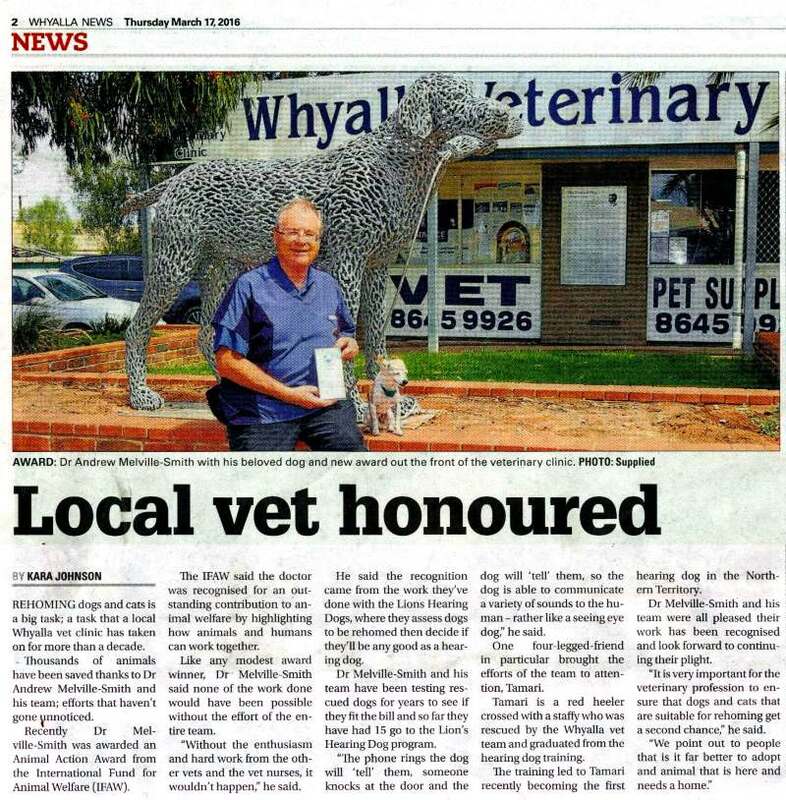 The nomination recognised his input and drive to set up Whyalla vet’s rescue dog programme with Lions Clubs Australia in 2014. We hope that by highlighting exceptional people like Dr Melville-Smith, more Australians will acknowledge and respect the important part that animals play in our global world,” said Deanne Gibbs, IFAW spokesperson. 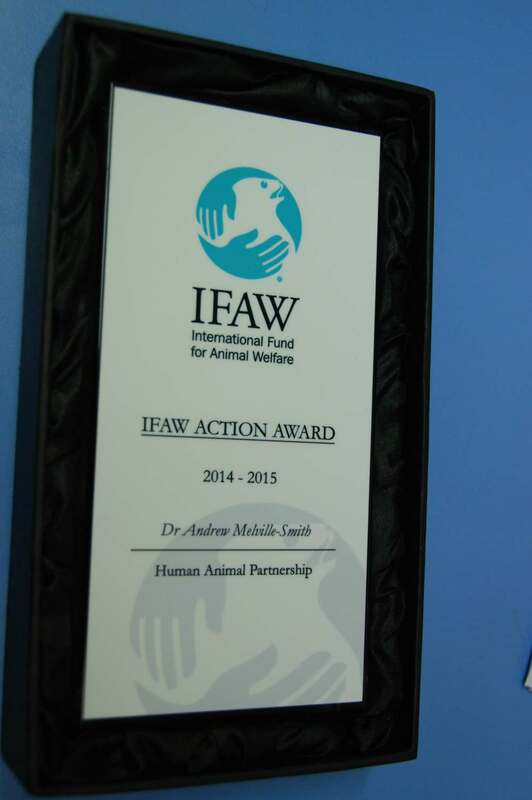 Dr Andrew Melville-Smith is one of one of four animal heroes across Australia to receive an IFAW Human Animal Partnership accolade. Also being awarded is Tamari a red heeler crossed with a staffy who Dr Melville-Smith rescued from a local Whyalla pound. Tamari successfully graduated from the hearing dog training and has become the Northern Territories first hearing dog. Tamari’s human, Darwin resident Chris Blackham-Davison and Lions Club dog trainer Darren Coldwell have also been recognised. Announcing the award, IFAW representative, Deanne Gibbs congratulated the hearing team, including Dr Andrew Melville-Smith, from the WhyallaVetenariry Clinic in rural South Australia who over ten years has rescued over 5,000 cats and dogs, on their dedication to promoting human animal partnerships. Founded in 1969, and active in Australia for over 30 years, IFAW rescues and protects animals around the world. We care for individual animals and deliver effective solutions for the long-term protection of animal populations and habitats. Our work connects animal welfare and conservation, demonstrating that healthy populations, naturally sustaining habitats and the welfare of individual animals are inextricably intertwined.